The Wood County Sheriff's Rescue is a dedicated group of 27 volunteer adults who provide rescue services for and under the direction of the Wood County Sheriff's Department. The squad is directed by a highly qualified member of the Sheriff's Department. 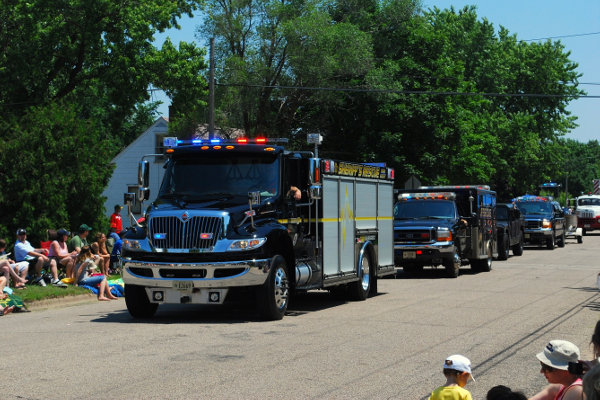 The Rescue squad provides service 24 hours per day, 365 days per year. These members are non-paid professional volunteers who respond primarily to incidents in south Wood County. They are paged to provide rescue services, first responder and emergency medical technician medical responses. The squad is available county-wide at the direction of the Sheriff's Department. Rescue members are certified first responders or emergency medical technicians. They are trained in diving and ice-diving rescues, water rescues, snowmobile and boating rescue, high level and low angle rescue, search and rescue and crime scene containment. "BEFORE NORMAL MEANS OF COMMUNICATIONS FAILS..."
Our group is a registered unit of the Radio Amateur Civil Emergency Services (RACES), attached to the Wood County Sheriff Rescue. We are a group of trained and dedicated volunteer Amateur Radio Operators with the mission to provide SKYWARN and Auxiliary or Emergency Communications Support, through Amateur Radio. Our Group can be activated to provide extra “eyes and ears” to the Sheriff’s Office on the Fourth of July, Halloween or any other special event. Our group also provides communications support to the Wood County Sheriff’s Rescue Team and other units of the Sheriff’s Office. 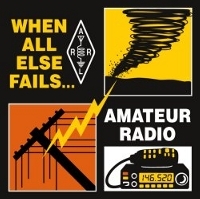 Participation in the American Radio Relay League (ARRL) Field Day, and provision of communications support at ARES public service events are also activities in which members may participate and are encouraged to do so. Our goal is to maintain communications in an emergency or disaster when normal commercial services are "Overloaded" or "Out of Service." In order to maintain a continual state of readiness, members train in basic and advanced principles of emergency radio communications, including emergency power, field operations and antenna systems. "Amateur Radio is our hobby. Emergency Communications is our commitment."